While trying to mount a database, Exchange administrators may sometimes face Dirty shutdown error. This dirty shutdown will not let them mount the database as it is in an inconsistent state. It is the sudden termination of Exchange Server (due to reasons like power loss) that causes dirty shutdown error. When you make changes in Exchange database, Exchange records this information in transaction log files before committing to the database. But when the log files are not replayed into the database, the modifications you have done are not reflected in Exchange database. In such a case your database is in an inconsistent state. This happens when the log files are corrupt, missing, or damaged. So, when your database is inconsistent, and you are trying to mount this, you will face a dirty shutdown error. EDB files are not detached from log files properly. Log files are missing from the server. If the Exchange database is dirty shutdown state, then you have to fix it. Use the following steps to fix the dirty shutdown error. 1. Create a backup of your entire Exchange database files. Well, if you are still not getting the desired result, then you should recover mailboxes from the EDB file or the available Exchange backup files. Recoveryfix for Exchange Server Recovery helps you in recovering mailboxes from dismounted EDB files. Yes, you can repair your Exchange database using this tool without log files and then you can export them to Exchange Server or Office 365 directly. In this software, you just need to add your offline EDB file as the source, and the software will automatically repair it. 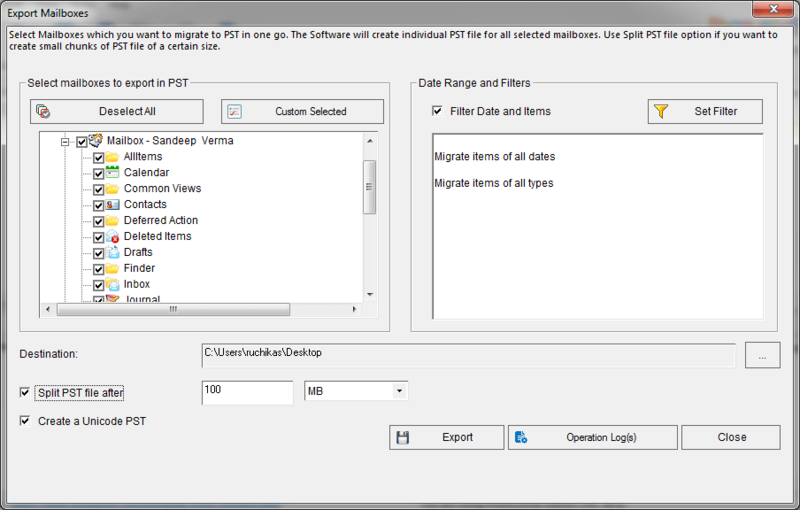 Then it offers you the options to export mailboxes to Exchange server, Office 365 or Outlook PST files. How to recover inaccessible Exchange Data from offline EDB files? 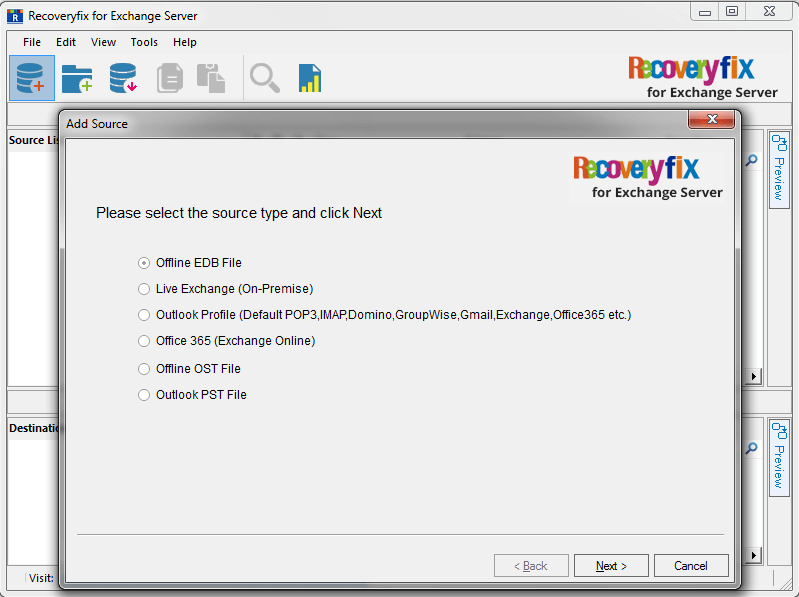 Launch RecoveryFix for Exchange server and select EDB file as the source. Add EDB file from your system hard drive and then move ahead. Now the EDB file is successfully added as the source. The tool also offers a preview of the mailbox data. 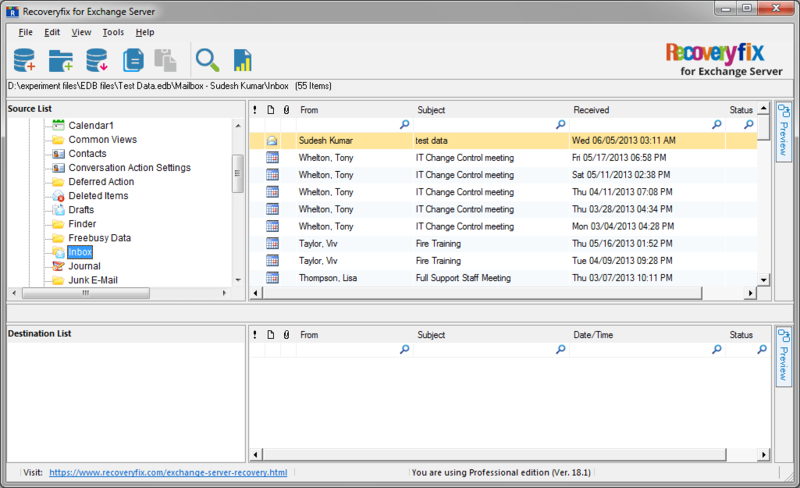 Now right-click on the source files and select Export mailboxes to PST. Select the mailboxes, mailbox folders, apply filters on data (like Date Range and Item Type) and select the required options (to split it into multiple PST & to create Unicode PST). Then click Export. 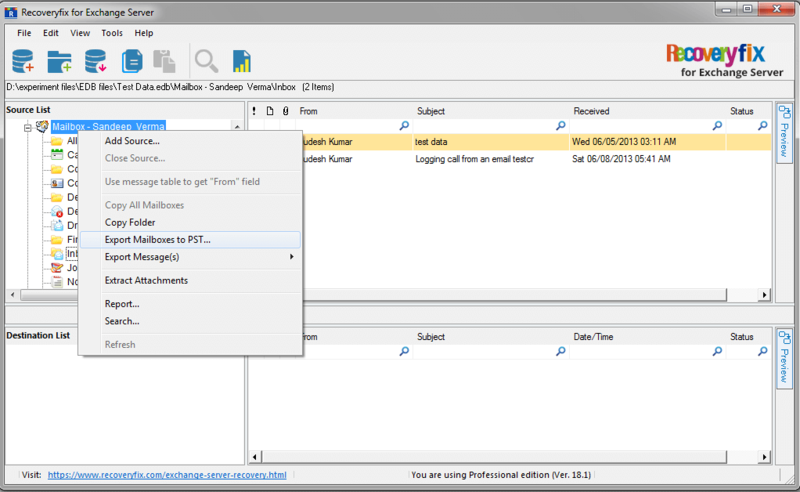 Now your Exchange mailboxes are successfully exported to PST files.